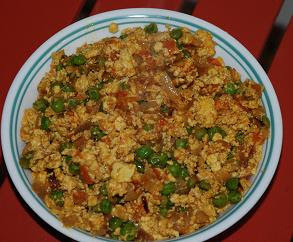 Discription:Paneer (Tofu) bhurji can be made very easily and tastes amazing. After being cooked, the look itself is so good that your appetite will double. Fry for 3-4 minutes again. Can add coriander leaves for serving.